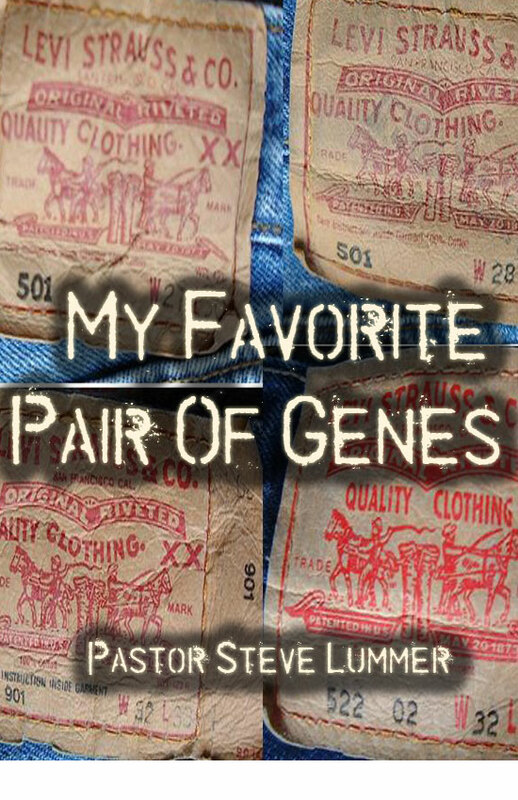 Really looking forward to this last message in the series “My Favorite Pair Of Genes“. 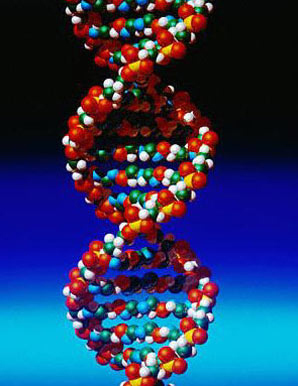 It interest me in seeing how our spiritual DNA is planned by God but yet developed by our surroundings and influences. The spiritual family we grow up in really impacts the trajectory of our outlook and our outcome. 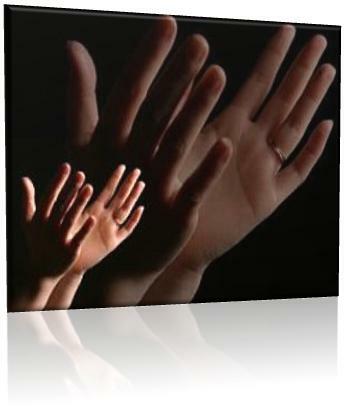 This weekend we are going to look at how God fits us in our spiritual family to develop us into his image. The whole process is really miraculous if we will just let it happen and not short circut God’s plan. So many people fight against fitting in God’s family and therefore ultimatly end up fighting against God’s plan for their lives. HOW BIG IS A $700 BILLION DOLLAR BAILOUT? It hard to comprehend something as large as $700 billion dollars in terms of coin. So let’s look at it in terms of time to see how big 700 billion really is. If we would measure every dollar as being equal to a second here is what it would look like. 1 trillion seconds ago is 31,710 YEARS AGO – or, 29,703 B.C. That is one big bailout! I am praying for wise leadership today. I used to love report card time when I knew I worked hard and was going to receive good grades. However, when I slacked off during a quarter or semester I really would dread the impending doom written in black and white for all to see. This week my parents sent me one of my report cards they had kept from my elementary school years. The date of the card is 1966-1967 and it is from my 3rd grade year. 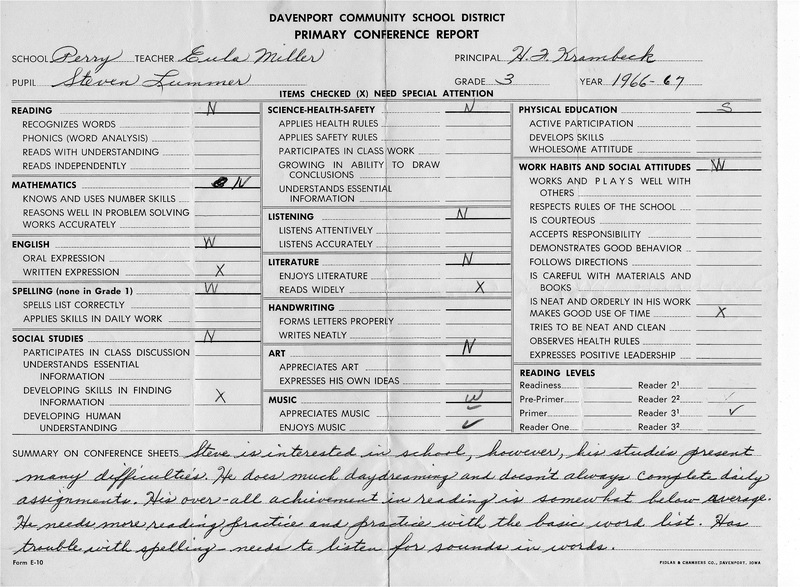 Mrs. Miller writes at the bottom of the report card something that really got my attention some 40 years later. She wrote that I have trouble “daydreaming” and that I struggle with my “reading habits”. Interesting, how somethings change and somethings don’t. today, I love reading and have way too many books on a variety of subjects and have spent too much money on books. But what hasn’t changed is the “day dreaming” part. I still love dreaming while I am wide awake and visioneering a life that God dreamed up for me. We all have God sized dreams in us to live up to, and we have a lifetime to become all He created us to become. I am A BEMA SEAT BELIEVER that keeps dreaming. After all these years that has not changed..
Getting ready for another Wednesday night Bible study. While I’m thinking about it, I added up all the Wednesday night services I have lead since starting in full time ministry in May of 1980. If you subtract vacations I have lead 1436 Wednesday night services. I have not missed one Wednesday night because of sickness over the past 28 years. Wow, right up there with Brett Farve. Ummmm, I wonder why we picked Wednesday nights? Just a brief scan of today’s top headlines can give humanity a major headache. Reading some of them this morning really makes me think we are living in the end times. but having a biblical world view takes some of the confusion out of the mix. – North Korea bars U.N. inspectors from main nuclear reactor, plans to reactivate plant. – school massacre in western Finland, eight women and two men were killed by the 22-year-old gunman. 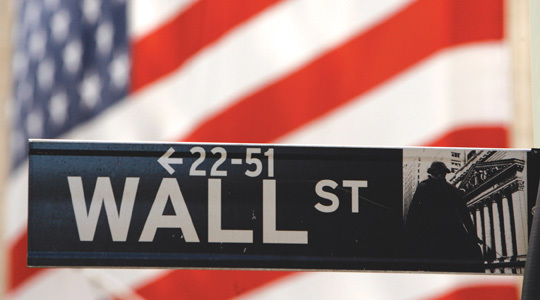 – Wall Street in Free Fall. worse loses in years. – US Government is rushing through a $700 Billion package to stabilize the failing financial giants. 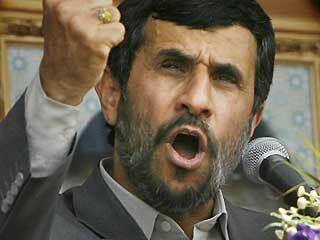 – “Israel Asks US for Arms, Air Corridor to Attack Iran”. Seems like there are millions of frustrated angry people on the globe today. I wonder if it because God has designed life to not work without him? Today is commute to the office on the bike day. This is the first Monday of fall and what a great ride in the crisp fall air here in Prescott. Stopped by the bean store and joined the other 167 million coffee drinkers of USA today. 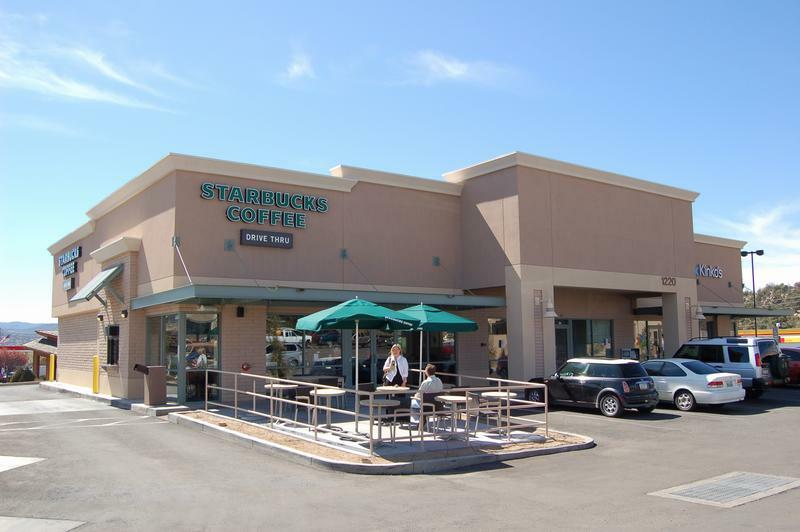 It is nice having a Starbucks just about halfway between my house and the church. I was reading today that coffee is second only to oil as a USA import and is a 19 billion dollar industry. 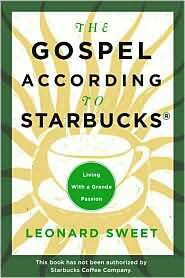 A great book I am reading right now by Leonard Sweet is The Gospel According To Starbucks. The book is about finding a life you would stand in line for. I think one of the saddest words in any language is “almost”. “Almost”…..I almost made it to the top. I almost lived my dream. I almost hit the ball. I almost made the shot. Almost. But I didn’t. Wow, really close but yet far away. I bet Agrippa wishes he could have stepped over the line with Paul’s attempt to persuade him. It might be time to interrupt apathy, because we cannot follow God in neutral. 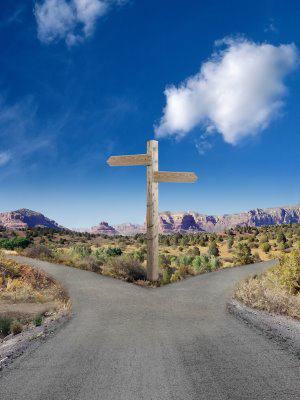 Forks in the road of life are gifts to help us become persuaded to make a choice.